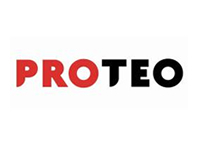 Proteo is a technology company specialising in mobile technology, vehicle telematics and custom business solutions. Direct Line Group is a retail general insurer with leading market positions in the UK and businesses in Italy and Germany. MAW Comms was selected to manage the launch of Validus IVC and raise awareness of its unique services which help insurers analyse and settle credit hire claims more efficiently.